When the NBC series “Hannibal” was first announced, it was thought by many to be nothing more than another flop, attempting to milk Hannibal Lector for all that he’s worth. Two years later with a renewed season on is way, “Hannibal” has become a phenomenon with some calling it the best adaptation of Thomas Harris’s work yet. 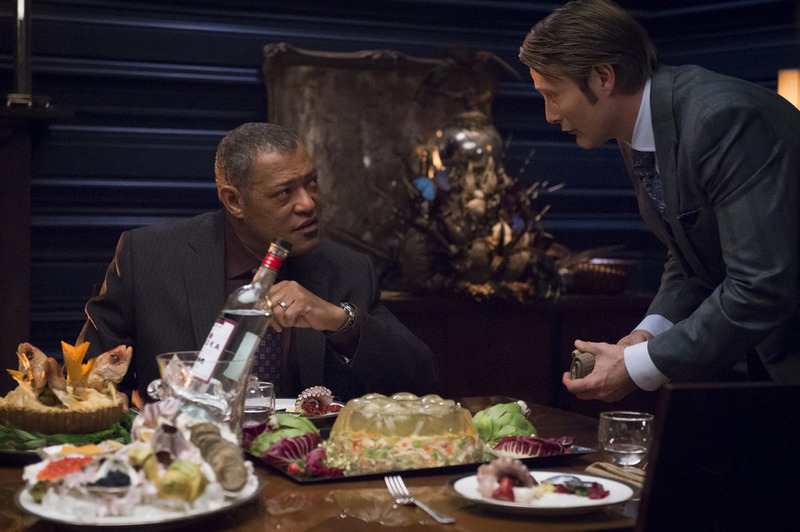 “Hannibal” not only captivates its audience with thrills and suspense, but also with its depth. It is definitely the loosest adaptation of Harris’s work thus far, but the use of symbolism in relation to events throughout the show, as well as the striking cinematography and character development are what draws audiences in week after week. In a time of flashy films with impressive visual effects, television shows reign with the promise of complex plot and strong characters. Hannibal Lecter (Mads Mikkelsen) joins the ranks of Walter White and Frank Underwood in terms of ambiguity, even though the story focuses on the spiralling downfall of Will Graham (Hugh Darcy). Throughout the two seasons, there have been multiple moments of foreshadowing and symbolism, and one recurring symbol is the stag. The meaning behind its constant appearance on the show has been debated, but the most common theory is that it’s a symbol of evil in the life of main character Will Graham. Other theories behind the stag are that it symbolizes foreshadowing and remnants of Hannibal’s first attack. However, the idea of the stag symbolizing dark moments in the series is what audience members connect to most. On top of the symbolism, the show amazes audiences with an array of grotesque crime scenes that remind the audiences of Hannibal’s meticulous methods and the capability of his violence with each carefully prepared meal. Episodes titles are highlighted by a plate, with each week referring to a specific foreign dish. However, it isn’t until the fourth episode of the second season when we see beyond Hannibal’s grand office and regal kitchen. The audiences watch in horror as too curious FBI agent Beverly Katz (Hettienne Park) finally walks into the lion’s den and gives us another glimpse of how Hannibal acts as the butcher. With little special effects, the show relies heavily on props, set design and camerawork to push across the tone. The use of shadowing, blurring effects, and moments of close up shots impact the show in a subtle, yet very effective way, making the audiences extremely uncomfortable. Interlaced with eerie editing, even normal mundane conversations can get tense, which makes the show highly impressive. Showrunner Bryan Fuller has always expressed his interest in adapting the story of all of Harris’s work, and has laid out his seven-season plan. Set to premiere in early 2015, season three pick ups one year after the events of the season two finale. Even with dynamic change between characters, the mesmerizing quality of the thriller series is still expected to take audiences on a visually beautiful and gripping journey into the world of Hannibal Lector.